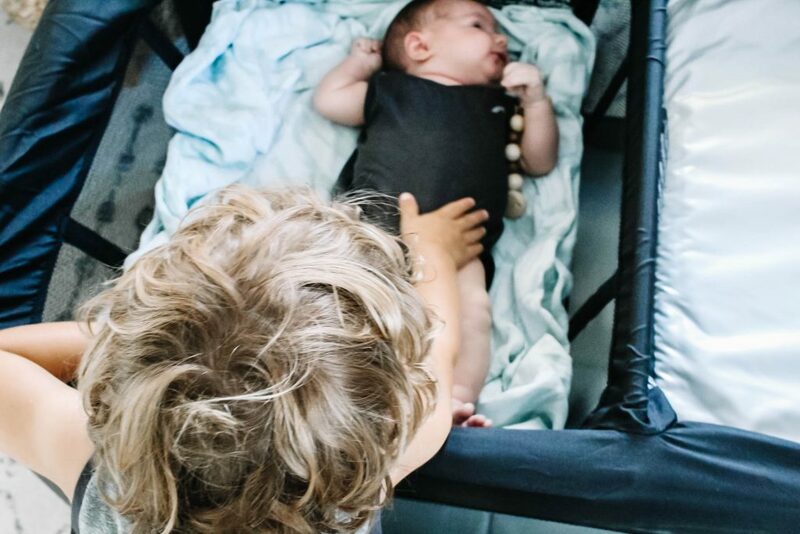 GROWING PAINS – ADJUSTING TO 3 KIDS – Little Adi + Co.
Now that we’re almost 6 weeks in, the transition from 2 to 3 kids hasn’t been as hard as I expected. Before you insert eye rolls and call me crazy, keep in mind that I’m coming off a season of life where I unexpectedly had to handle two under 15 months. My two oldest boys are 14 months apart and 3/4 of Aden’s first year of life, I was pregnant. His second year of life, I had an infant attached to my breast with a baby that just learned to walk clinging to my leg. It was hard. Like, WAY hard. I would often find myself crying in a corner at the end of the day questioning what the hell I got myself into. I questioned my responsibility (how did I let this happen?!) and my ability to keep everyone alive. But y’all, I’m happy to report that we all survived those first few years and even though life will always kind of be hard with them being so close in age, it does get better. There’s just different kinds of challenges that come with the territory. Although the two boys often made me question my sanity throughout their 4 & 5 years of life, I always knew I wanted 3 kids. When life seemed to be giving us breathing room, we decided that it was time to add to our family. As you know, we had started trying 2 years ago, but suffered some unexpected losses until November 2017 when we found out we were expecting Cason. I can’t really explain how things like that completely change your perspective on parenting and more especially that newborn season. Although I’m definitely much older and wiser, I’m also much more patient, happy and appreciative that I get to experience this again. Lack of sleep is something I’d give 12x over to have him here in my arms. So, all things considered, my perspective on our growing family and this transition is a bit skewed I guess you could say. So, what are some of our biggest challenges adjusting to 3 kids? 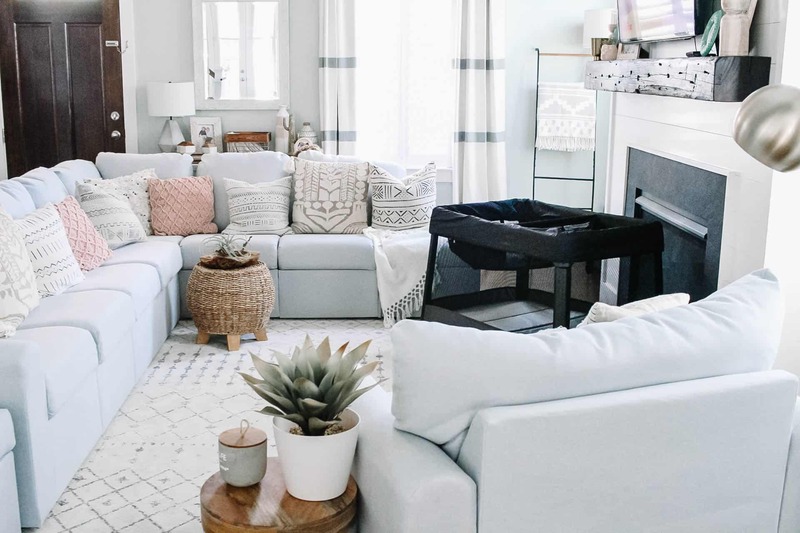 Our biggest everyday challenge has been keeping curious toddler hands off the new baby. 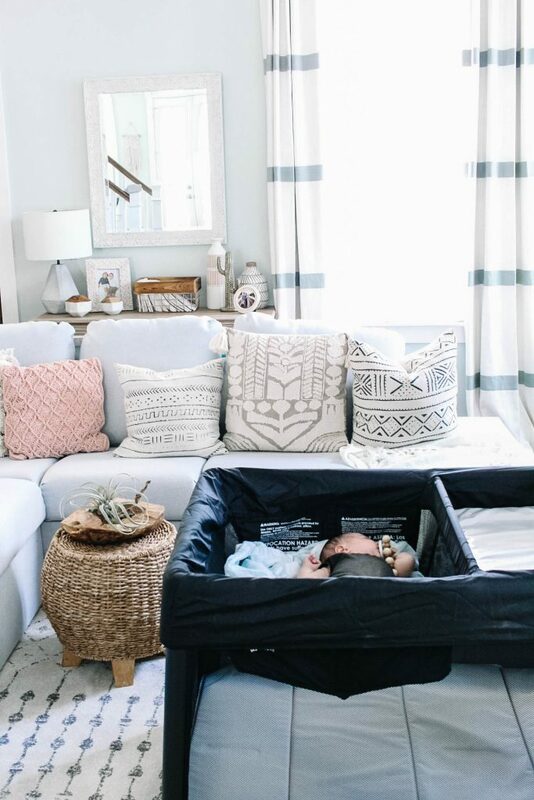 Our first week home, we had a scary experience with Aden picking up Cason from his lounge seat when our backs were turned. It all happened in a split second and thankfully everyone was ok, but it left me sick to my stomach over what his innocence and my blind eye could have caused to happen. NEVER again! The thing about the boys and the age they’re at right now, is that they feel like they’re “big” enough to do what the adults are doing, yet they obviously don’t realize how fragile babies are. They are also prone to fighting over who gets to play with the baby and they end up bickering uncomfortably close to him. Sibling rivalry at its finest. 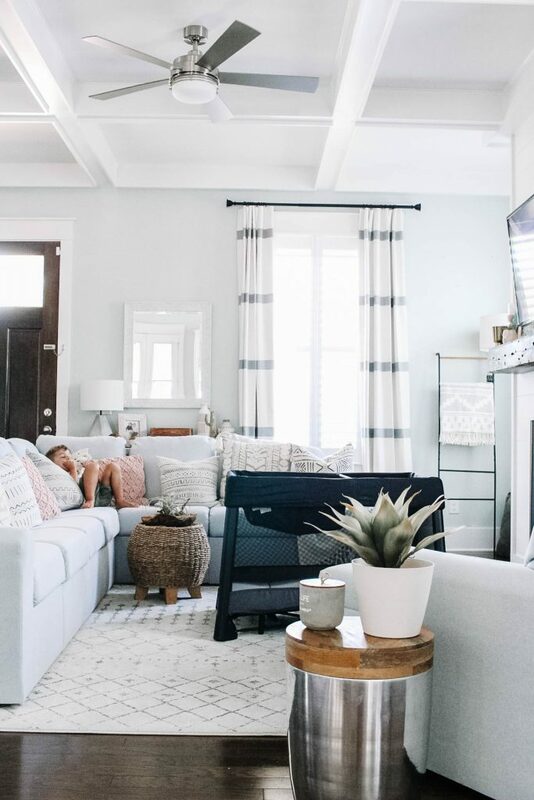 I’ve been using our 4moms Breeze Plus Playard whenever they’re around to keep the little prying toddler hands away and to give Cason a safe place in our main living area. It’s been a lifesaver on days when I’m alone with the 3 of them and need to step away to put dishes away or throw a load of laundry in. 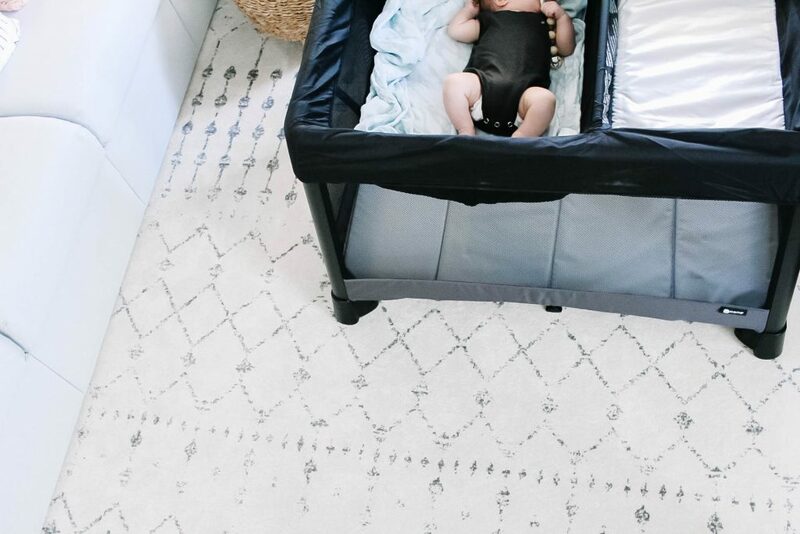 We’re also entering a new school year which means gnarly kiddo germs and being able to have Cason play in his own clean space will be KEY for keeping him healthy. 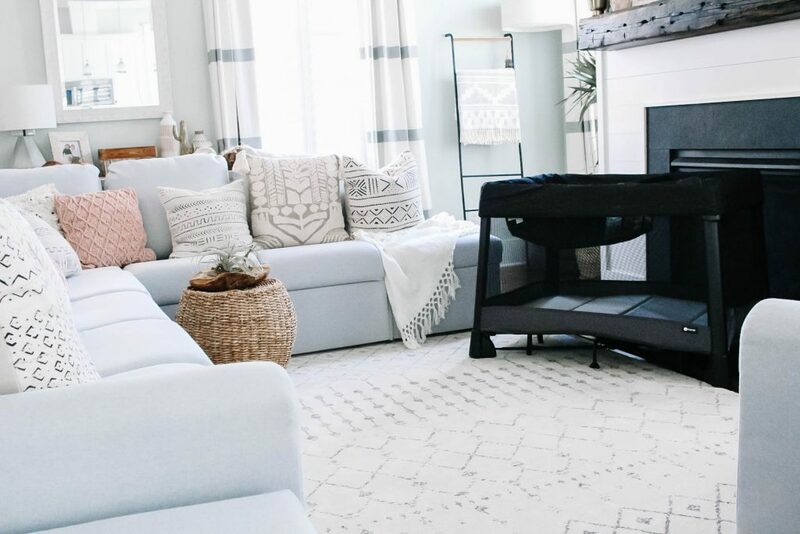 They can look but they can’t touch… The 4moms Breeze Plus Playard is a dream to set-up. It’s literally up in one motion with a push button set-up in the center of the flooring. It pops up in under a minute, which I love considering I can do it myself and it doesn’t need to sit out when we don’t want it to. Another challenge that we’re still working through is family outings. You can pretty much kiss those goodbye for the first few months. Every now and then I’ll venture out alone with the 3 of them, with some false sense of confidence and bravery, and immediately regret it. It’s not that I can’t do it, it just takes a whole lot of mental stability to make it to the other side in one piece. And let’s be honest, with less than 5 hours of sleep under my belt sometimes, I’m not always packing my patience for something so unnecessary. If we have to go out, we do it, but I wouldn’t recommend it for the weak of heart. I’m hopeful that it will get better…. or I’ll just handle my errands during school hours. That seems a lot more peaceful anyway. Otherwise, you can fully expect that 3 little people will demand everything from you ALL at the same time. Kind of like Murphy’s law, except it’s parenting law. You have to let some expectations go that life will be manageable and calm. Our life is 90% insanity and 10% after the kids go to bed (an hour of decompression before we both pass out). Our house is never quiet, it sounds like a rowdy bar at all times, but they’re all fed, happy and 100% worth it. Life with 3 is never a dull moment, but it’s a moment I wouldn’t trade for the world. The good news is, 3 is the game changer and then after that it’s negligible (or so I heard). So if a big family is something you’re after, if you can handle 3, it’s smooth sailing after that! So far I think 2 was the game changer for us. If you have a big family, I’d love to hear your experience below. Thank you to 4Moms for providing product for today’s post. All opinions are 100% my own.